Welcome back to the 2017 Virtual Curriculum Fair hosted by Susan at Homeschooling Hearts and Minds. Last week we introduced ourselves and shared a bit about our daily school life, so today we are going to get down to the nitty gritty with Language Arts! Diagramming sentences and taking vocabulary tests. Oh, and reading obscure books that I did not understand only to have a teacher tell me she knew exactly what the author meant when he wrote it. Yep, that is what I remember most about "Language Arts" classes, especially in high school. Not very fun and not very inspiring. But my memories none the less. I am not all together sure my kids will remember their language arts classes much differently, but I promise it will NOT be from a lack of me trying. Language Arts is a pretty big spectrum of subjects really. Vocabulary, grammar, reading, reading comprehension, spelling, writing, hand writing... it just seems to go on forever. And quite frankly, it takes up a big part of our homeschooling day. But in my opinion, it is SO hard to find suitable material for those subjects and forget trying to find one I like that encompasses them all! Seriously! I have changed curriculum so many times with my four kids through the years that it would make your head spin. I am going to share what I would use RIGHT now for the different age groups, but know that this is my opinion today. I promise it might change next week. But so far, after 18 years of homeschooling, these are my favorites! Phonics Museum by Veritas Press- I used a lot of different things for my girls, including Teach Your Child in 100 Easy Lessons which I loved, but Phonics Museum, although pricey, was what saved me when teaching my first son to read. He loved it, he learned to read, and all was well with the world. 'nuff said! All About Spelling- Just use it! It is worth it, great for all kinds of learners, and works. Grammar- ABeka- Just back to basics workbooks, learn like you did in public school, but your kids WILL learn. Literature- Honestly, just read. Everything you can get your hands on. Ask questions, draw pictures, write summaries, whatever. If you need a bit more, then the Memoria Press Literature Guides work well for us. Handwriting- Memoria Press Handwriting worked great for us! Write Shop- If you are looking for a simple and non threatening way to teach young kids to enjoy writing, try this! 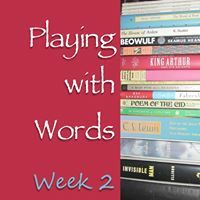 Spelling Power- Call words, master their spelling, and move on! Who has time for word searches and puzzles? Wordly Wise- I love these books and start them about 5th grade. My kids don't love them but they have great vocabularies! They will thank me later, I am sure. Grammar Ace- A short and easy program, but I have used it for all my kids for 4th grade! One day a week and done! It uses the DVD of the old Schoolhouse Rock videos we watched on Saturday mornings and they love it. "Conjuction, juction, what's your function?" Go ahead, I will wait while you sing! ;) We also continue with Abeka. Here to Help Learning- This video writing curriculum has been so much fun for us. My youngest son went from complaining about writing a few sentences to writing 5 plus page stories! It's cute, easy to use and works! Wordly Wise- Just keep swimming, just keep swimming- I promise, it is worth it. Another great vocabulary program is Vocabulary From the Classical Roots, so yes, I make them use both at the same time. I am nice like that! Grammar- Easy Grammar Ultimate Series- OK, I have used A LOT of grammar programs for this level and honestly, some are completely overboard in my opinion. I loved diagramming as a kid, really, I did, but I have come to strongly believe that enough is enough. Teach the basics, let them read good literature, teach them to write well, and they they will be just fine. Sonlight- Choose the books your child reads with discernment. There are some books we do not read due to personal convictions about language and graphic content. Writing- We are IEW fans. Two of my girls have done well with writing at a college level after having used this program. We also recommend anything from Sharon Watson! Is there more? Oh yes, a plethora of stuff, I promise. Once again, find what works best for your child and forge ahead. One of the glories of homeschooling is that if you find something that doesn't work for you, just put it aside and find something else. We would love for you to join us! Link up your favorite posts about Language Arts to share with us! See 'ya back next week as we Discover Patterns with Math and more! We have used Write Shop before and I was wondering about going back to it. Thank you for the reminder. I need to look up your handwriting curriculum, too. We loved using Here to Help Learning with my 1st grader at the time. It was so fun! I forgot all about my Easy Grammar Ultimate Series over the summer! I may need to pull this out for my Big Kid as a refresher! Here to Help has been great! Looking forward to using it at the next level! Great line up! I have always wanted to use Wordly Wise but never did make the plunge. It's an inexpensive program with great results! It is so much fun! Colby loves singing the songs for Grammar, but he also begs to watch all the others too. History and science songs are on the CD as well. Grammar Ace looks very interesting! We love our grammar, but I still want to check it out!